The Sheen flame gun makes light work of weed control and ground clearance with a powerful 2000°F flame that kills weeds without the need for chemical herbicides. Both powerful and portable, the Sheen flame gun is the ideal tool to tackle tough weeds with extra control provided by the included hood and trolley.The 1 gallon tank uses paraffin/kerosene allowing you to control weeds as well as kill disease spores, harmful bacteria and pests with no harm to pets or wildlife. 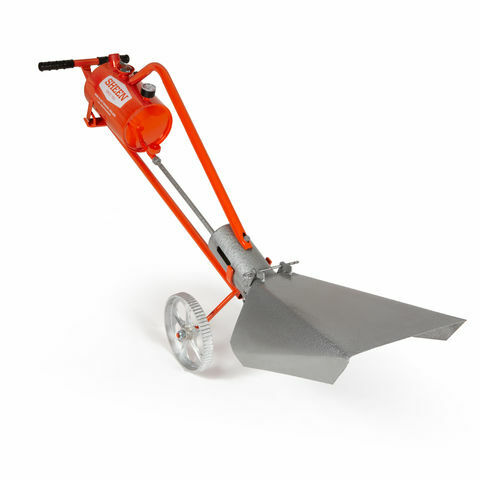 Ideal for the organic gardener, it is a highly effective means of destroying weeds whilst adding valuable potash to feed your soil. 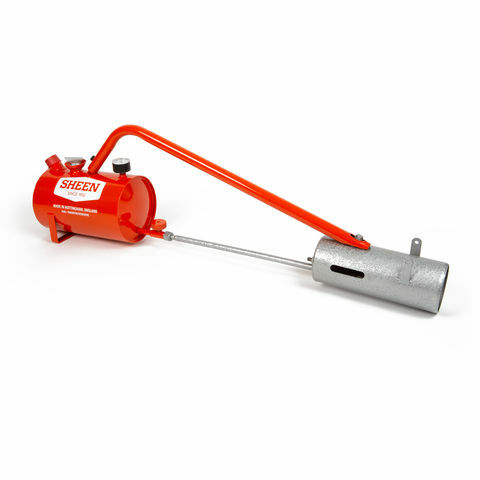 You can also use the Sheen flame gun for burning garden waste and rubbish, sterilising soil, and lighting bonfires.The Sheen flame gun has been made in Britain since 1952 and, being well known for its robust and reliable design, comes with a 5 year guarantee.